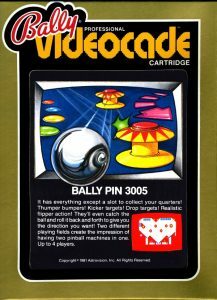 The Bally Manufacturing Corporation was founded on January 10, 1932, when Bally’s original parent company, Lion Manufacturing, established the company to make pinball games. 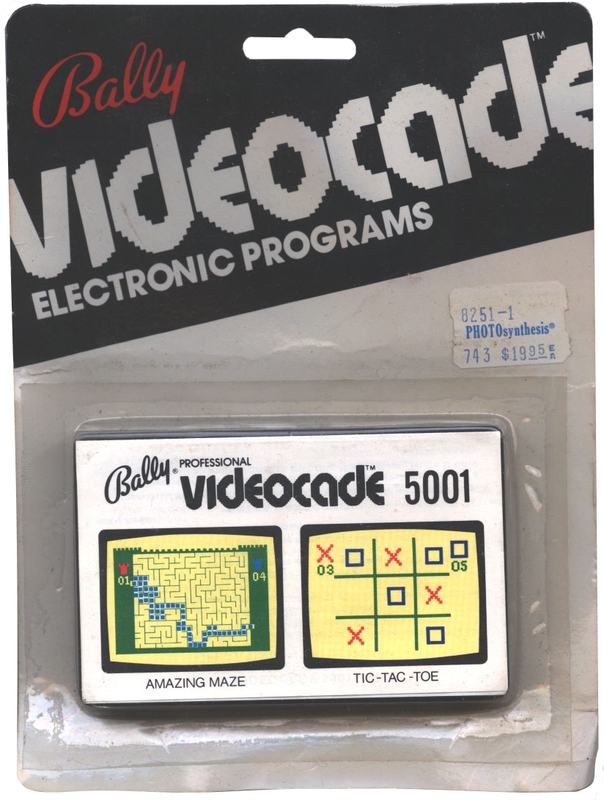 The company took its name from its first game, Ballyhoo. 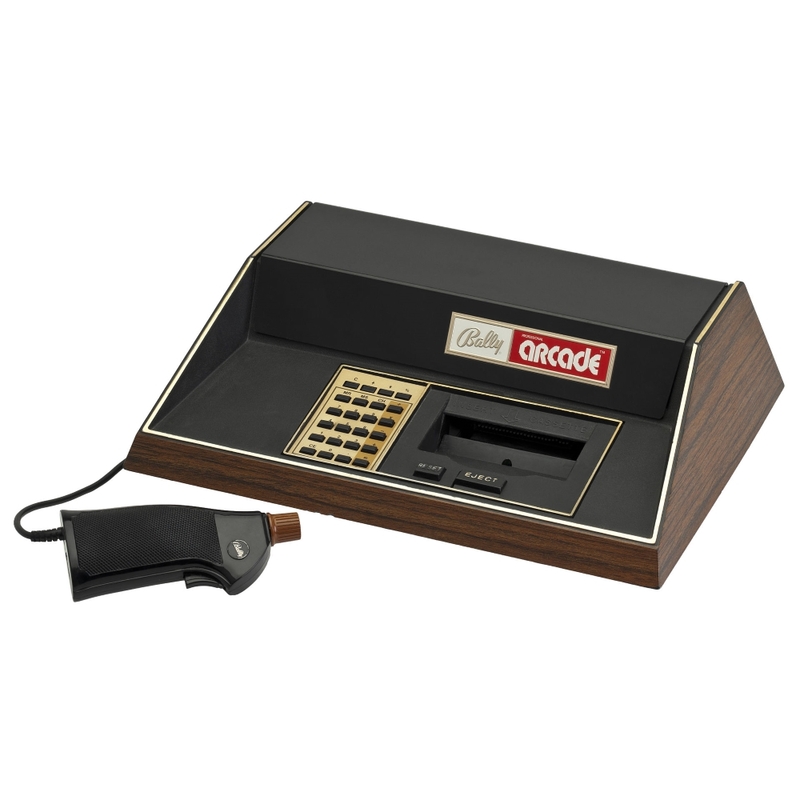 The company started in the late 30s to manufacture gambling equipment, such as slot machines. 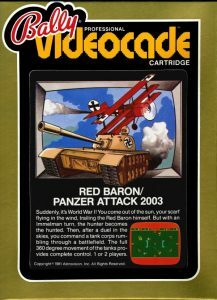 After manufacturing munitions and airplane parts during World War II, Bally returned to their bases. 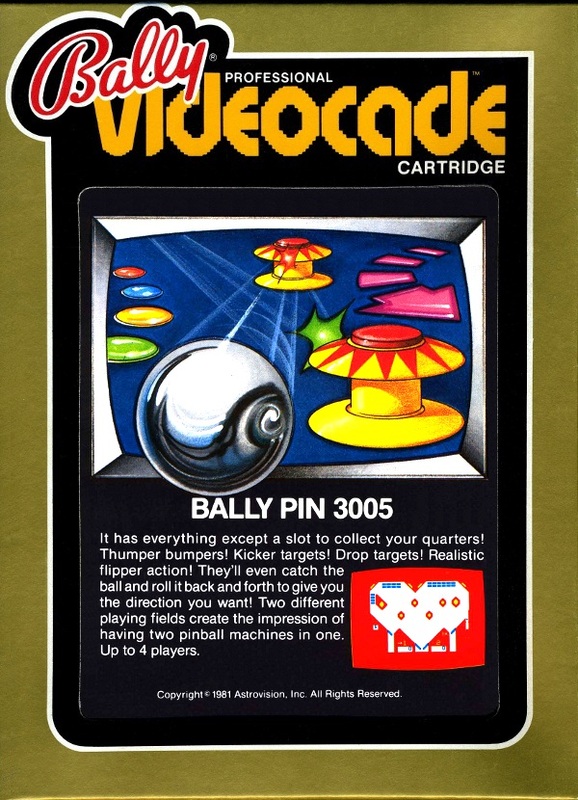 The company continues to expand in various entertainment areas and in 1969, Bally acquired the Midway Manufacturing. 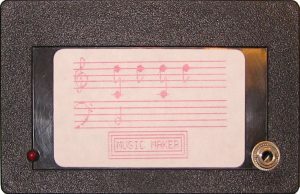 In 1973. 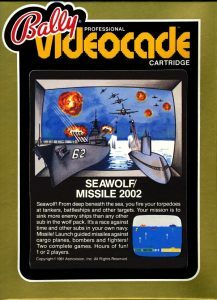 Midway became an early American maker of arcade video games . 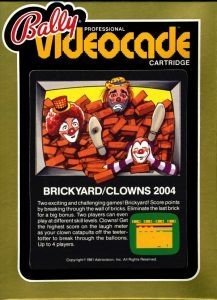 Once the home video game market began to flourish, Midway decided to use their knowledge to create a system that would be a real home arcade. 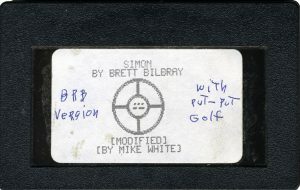 Midway contracted Dave Nutting Associates to design a video display chip that could be used in all of their video game systems, from standup arcade games, to a home computer system. 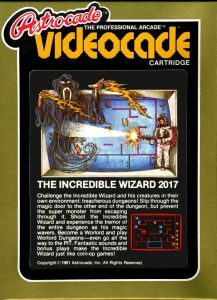 The system Nutting delivered was used in most of Midway’s classic arcade games of the era, including Gorf and Wizard of Wor. 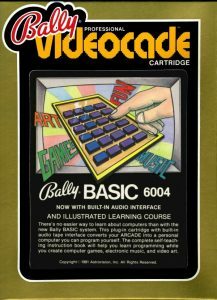 In 1977, Midway started to take order for their Bally Home Library Computer. 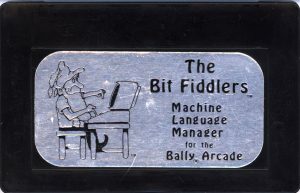 The system, only available through mail order in the JS&A catalogue. 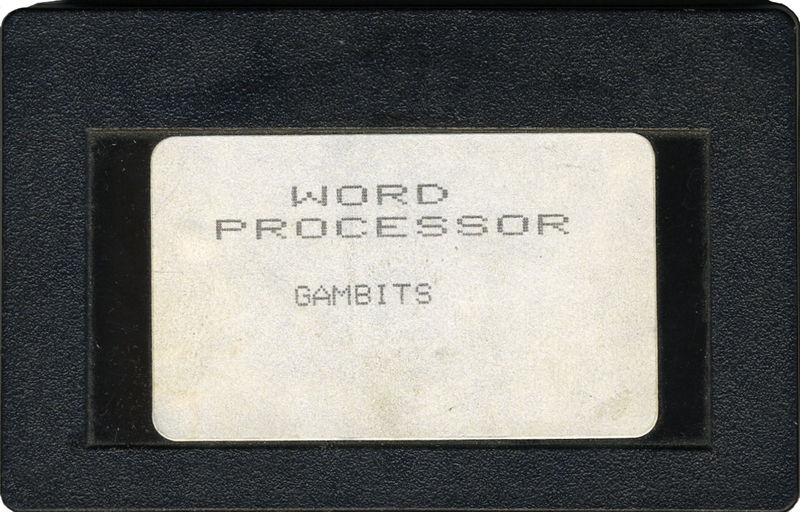 Marketed as a computer that could rival with the IBM 5100, about 8,000 orders were placed. 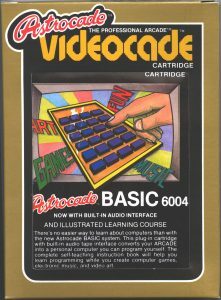 At that time, the Bally Home Library Computer was to be delivered in four weeks, but it actually started in January of 1978 . 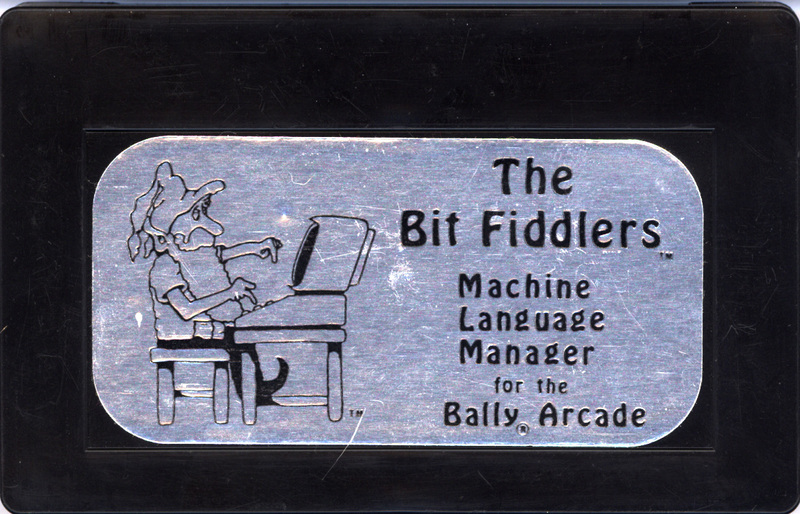 By this time, the console had already changed its name for the Bally Professional Arcade. 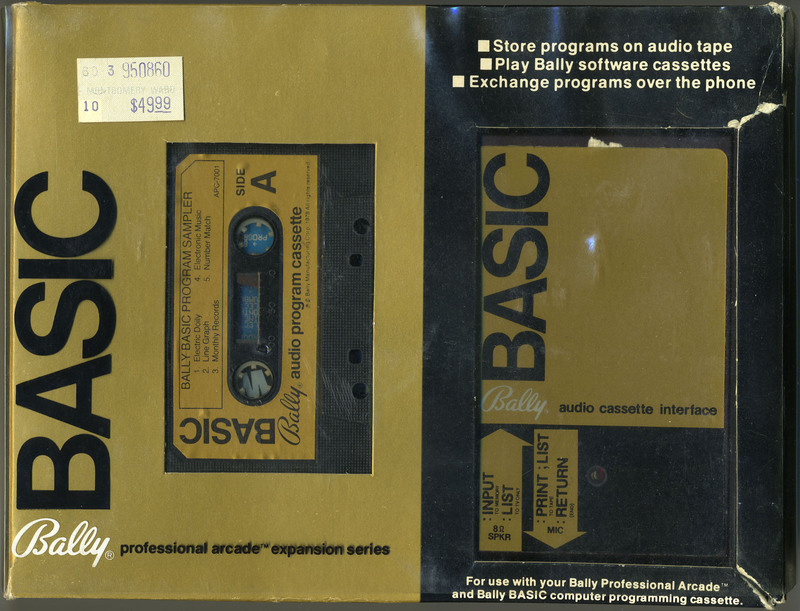 In 1979 Bally grew less interested in the arcade market and decided to sell off their Consumer Products Division, including development and production of the game console. 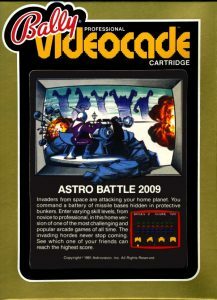 At about the same time, a third-party group had been unsuccessfully attempting to bring their own console design to market as the Astrovision. 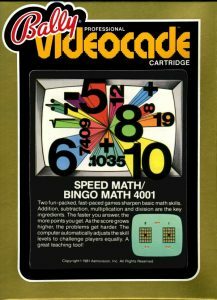 A corporate buyer from Montgomery Ward who was in charge of the Bally system put the two groups in contact, and a deal was eventually arranged. In 1981 they re-released the unit with the BASIC cartridge included for free, this time known as the Bally Computer System, with the name changing again, in 1982, to Astrocade. 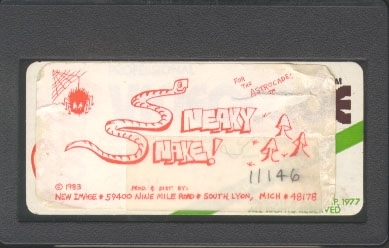 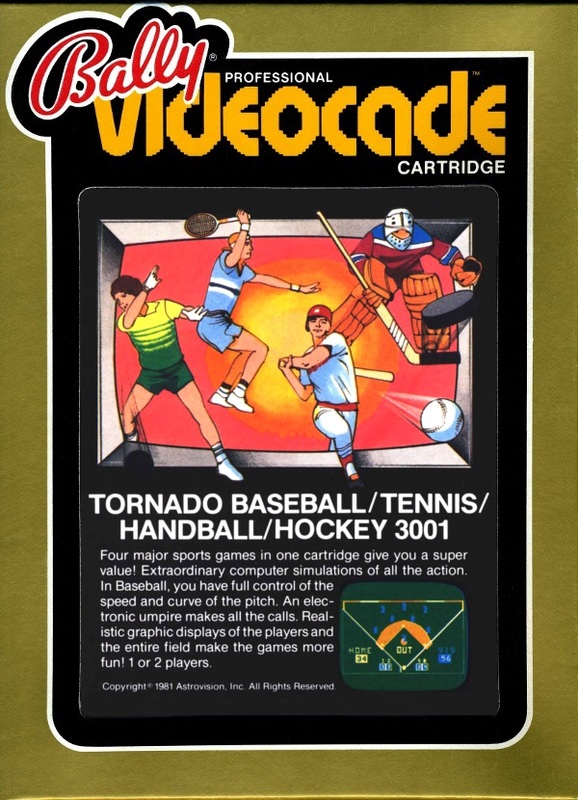 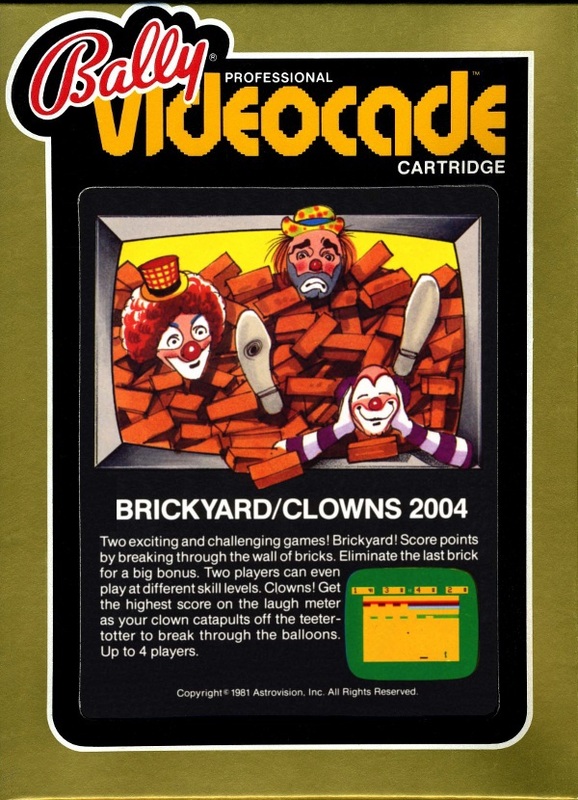 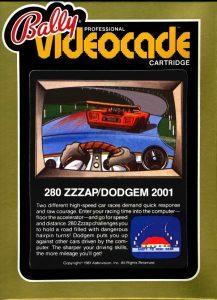 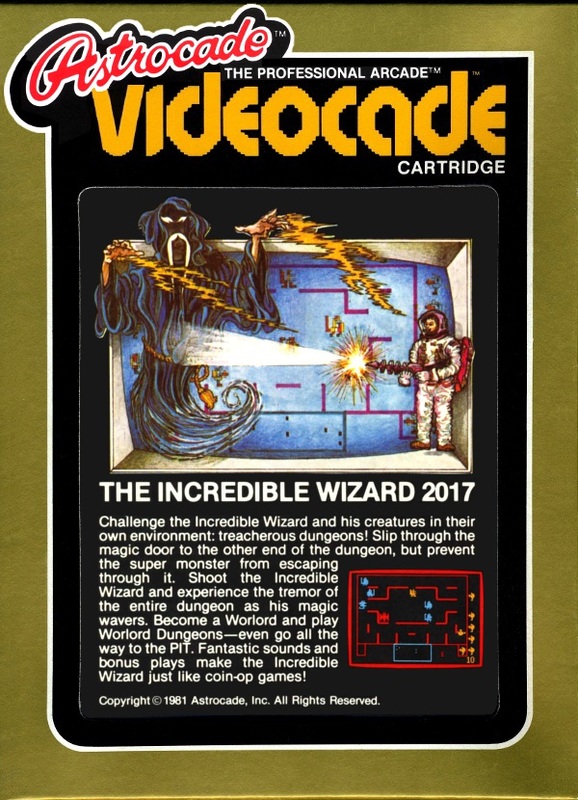 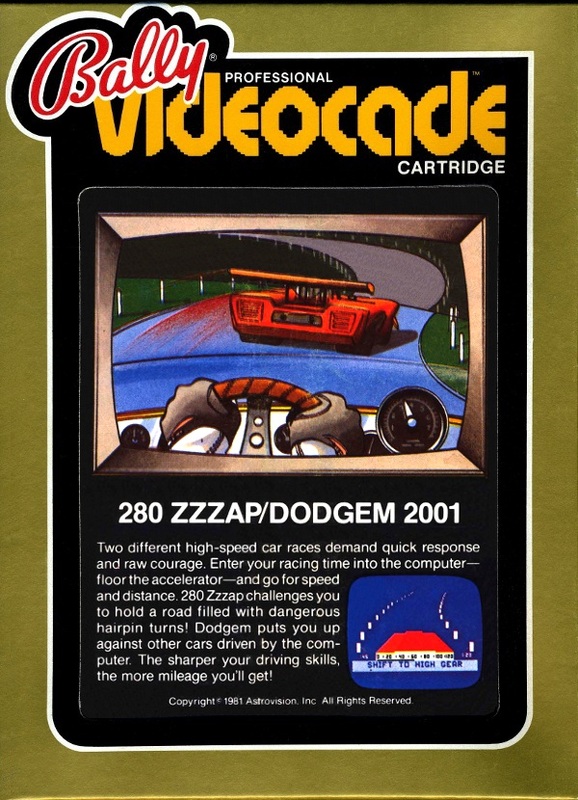 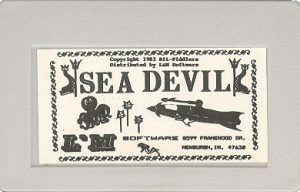 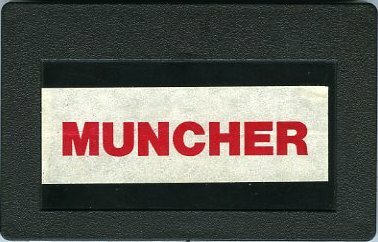 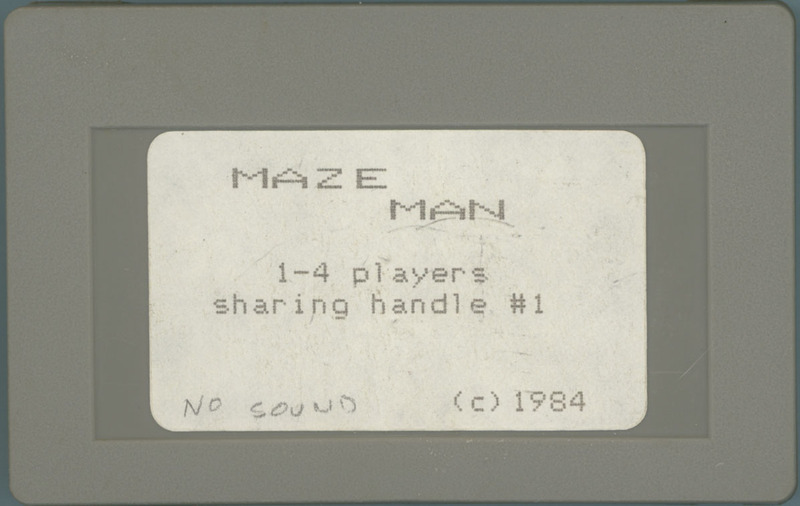 It sold under this name until the video game crash of 1983, and then disappeared around 1985. 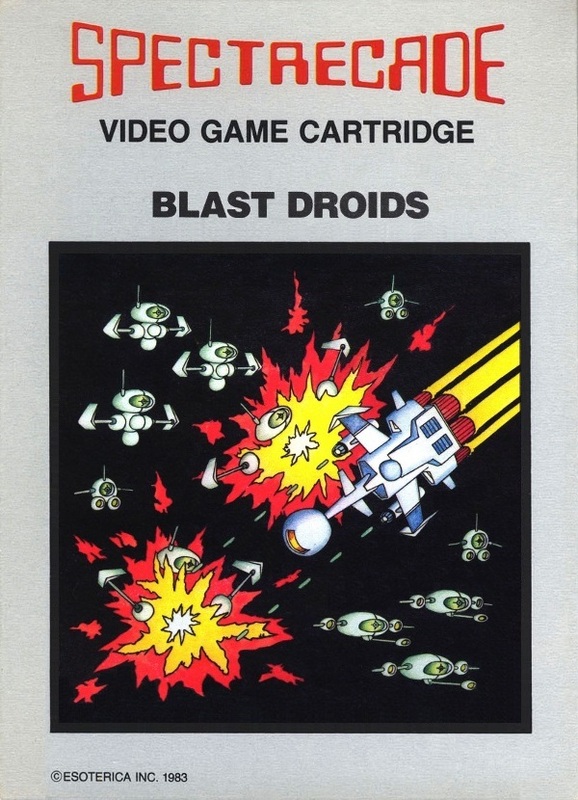 There’s a total of 25 licensed games released for this system. With so many name changes, the console had to go through a series of different boxes type. 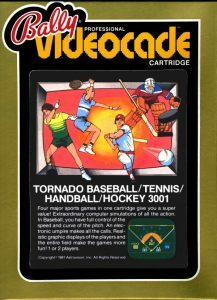 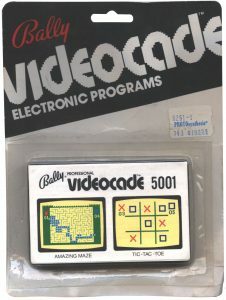 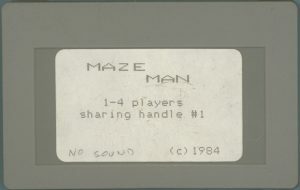 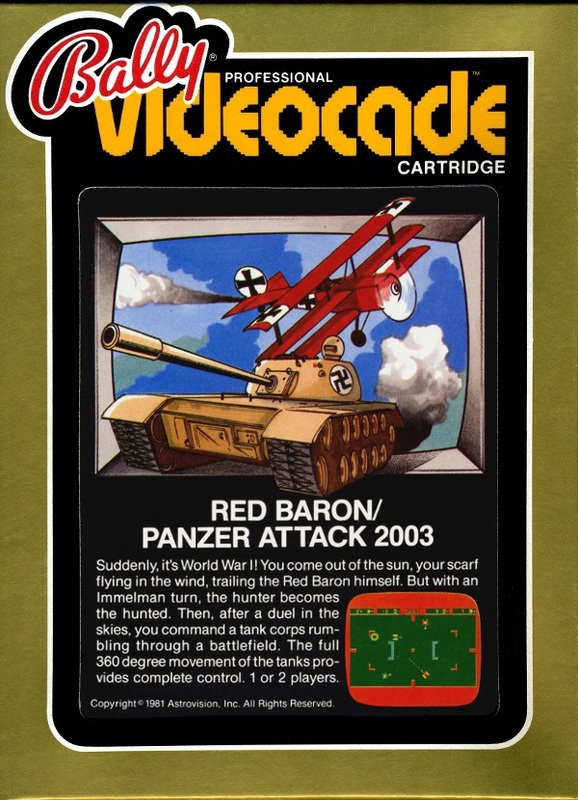 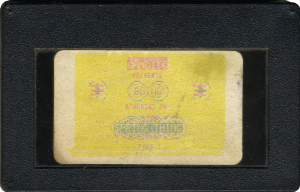 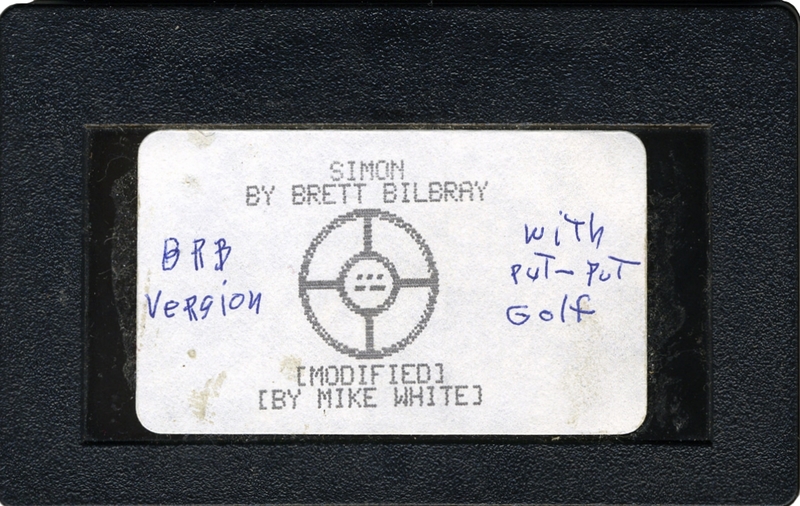 The first type is the normal box, labelled Bally Videocade. 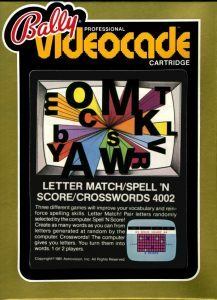 Toward. 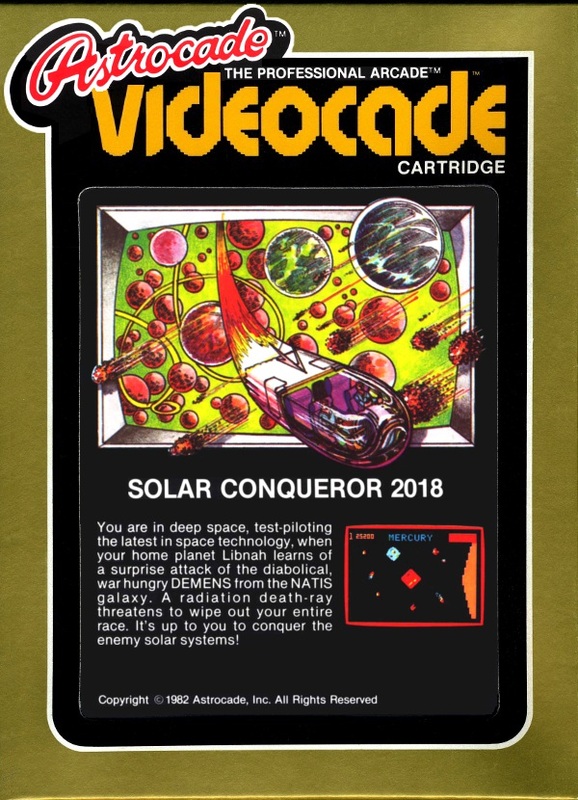 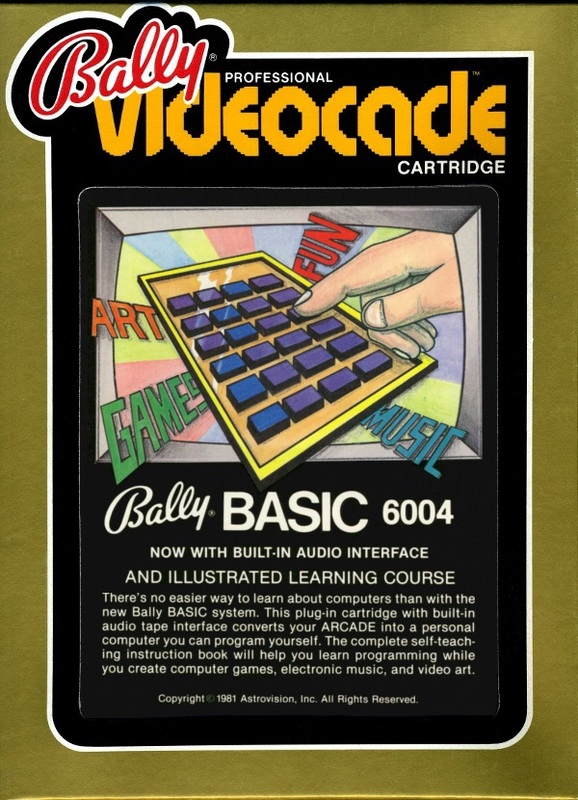 Before being sold and renamed to Astrocade, Bally adopted a new Blister pack format to reduce the cost. 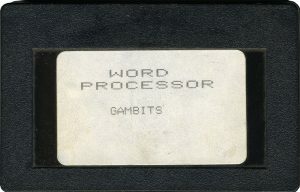 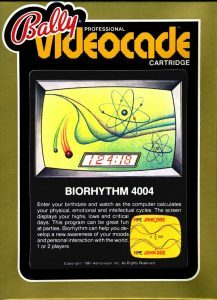 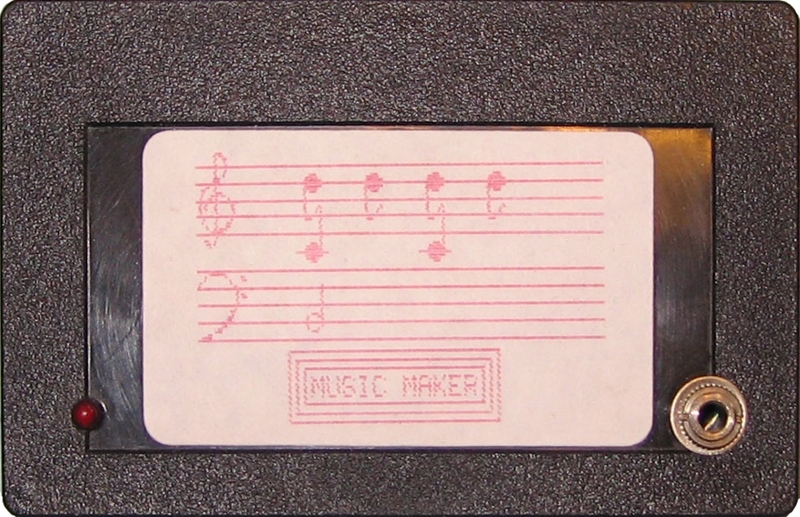 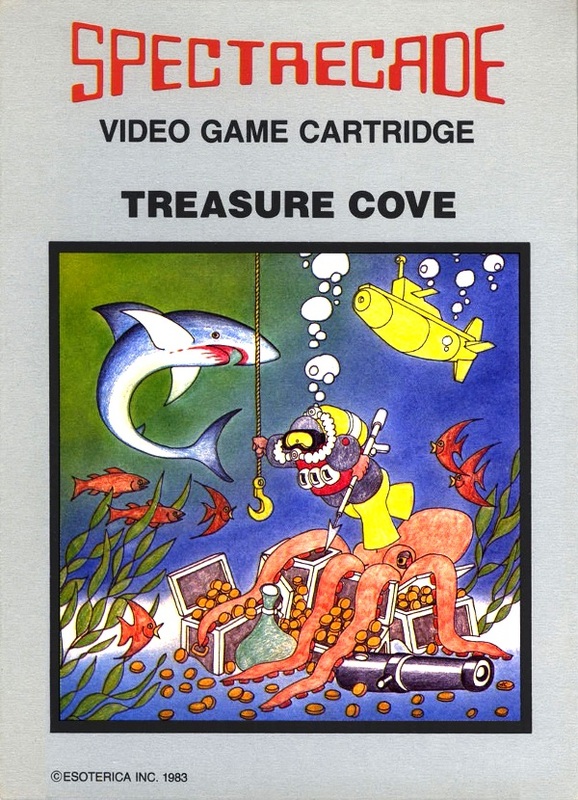 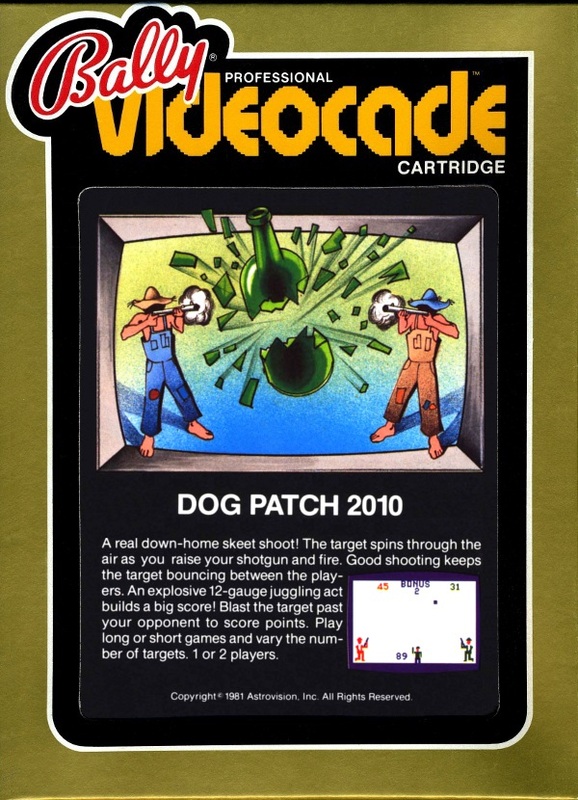 Not all cartridges were produced in this format. 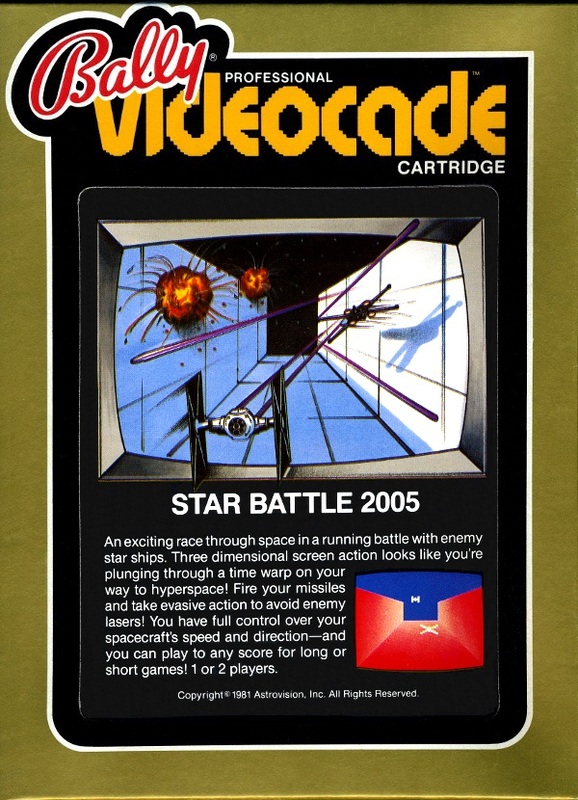 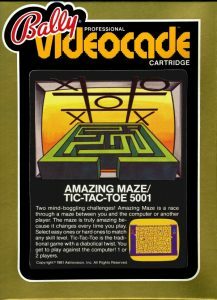 Once the console has been sold and the name changed to Astrocade, the box were modified to adopt the new name. 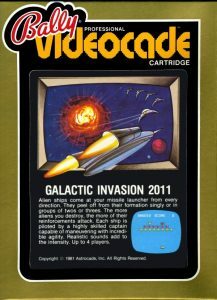 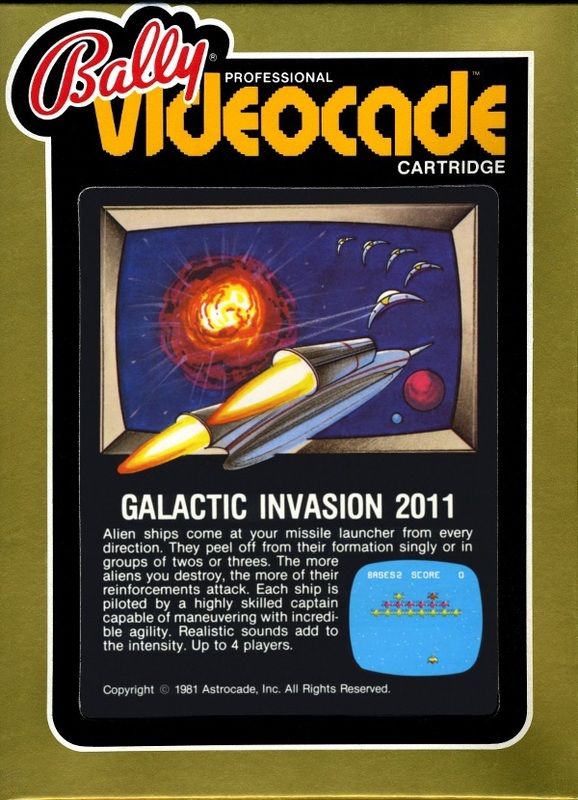 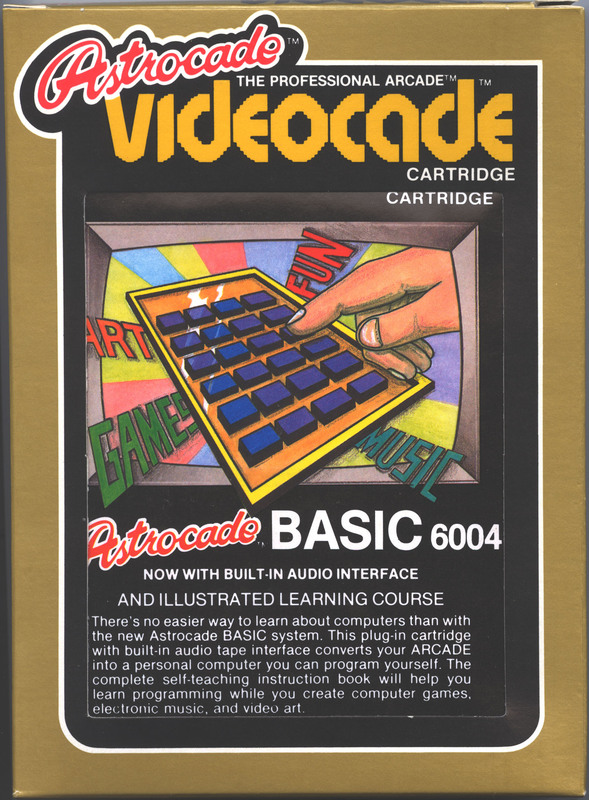 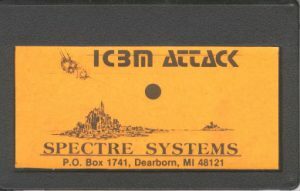 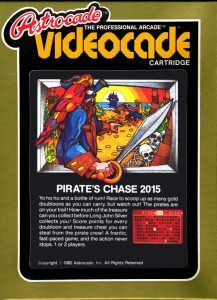 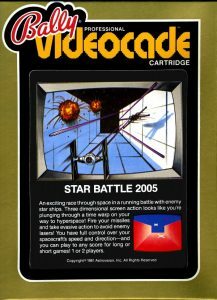 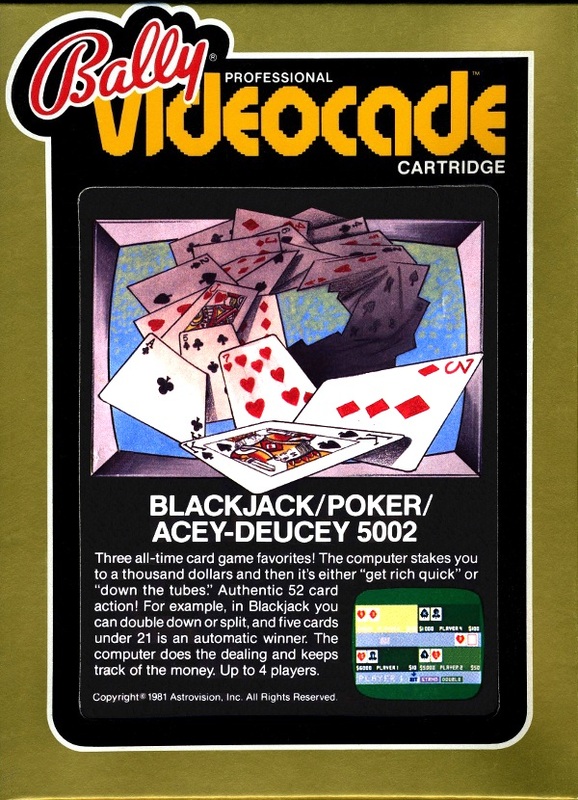 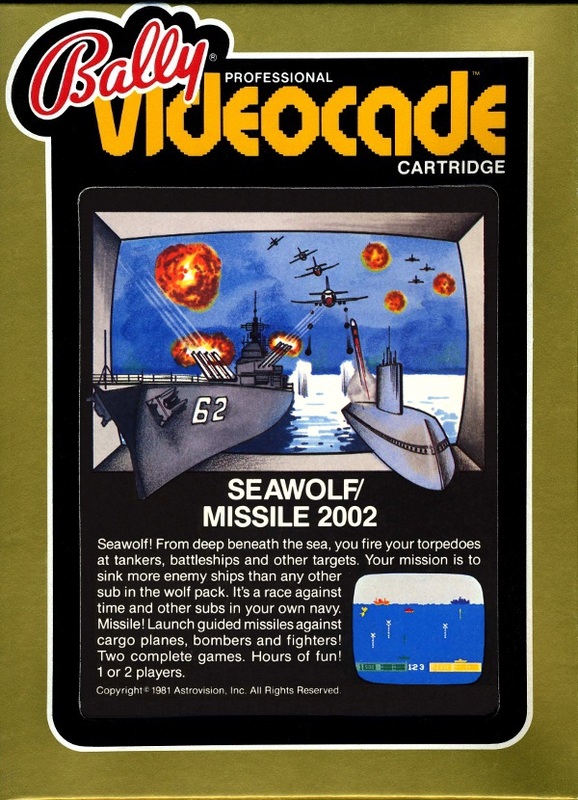 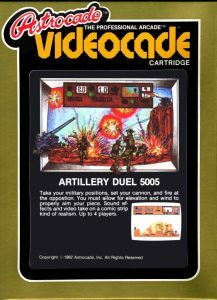 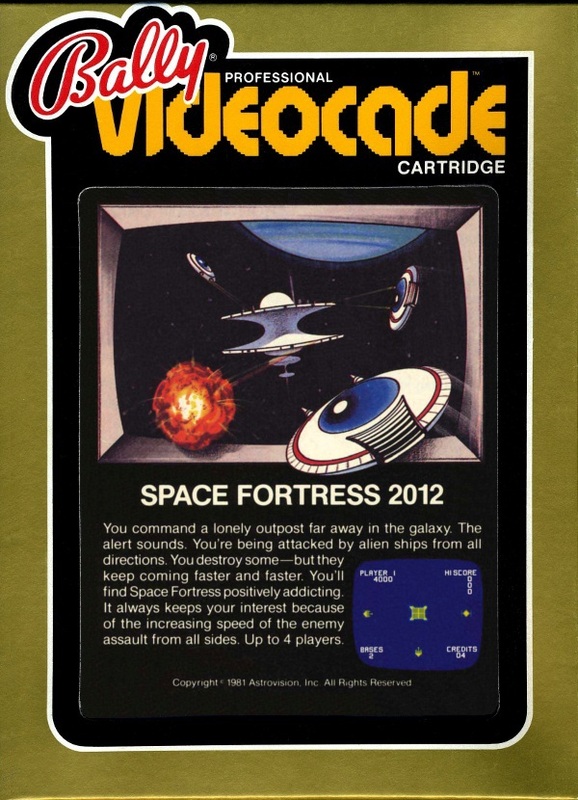 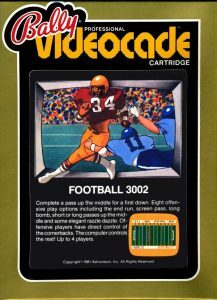 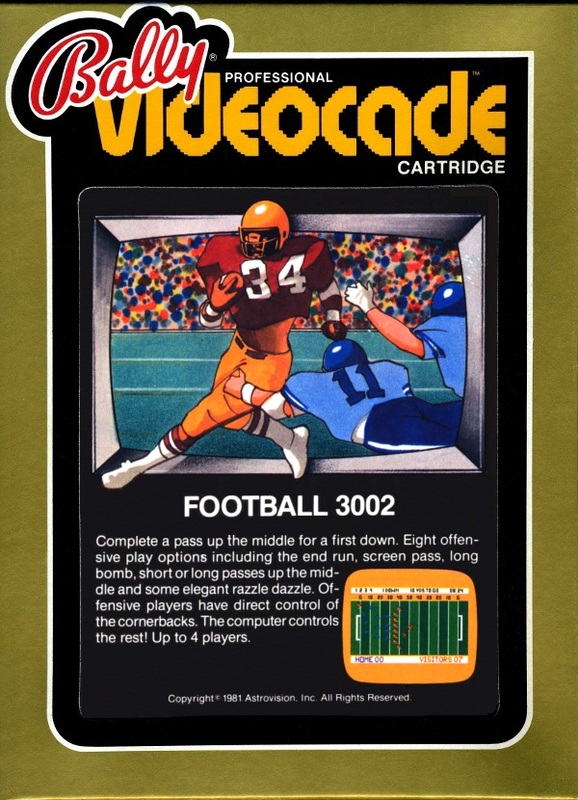 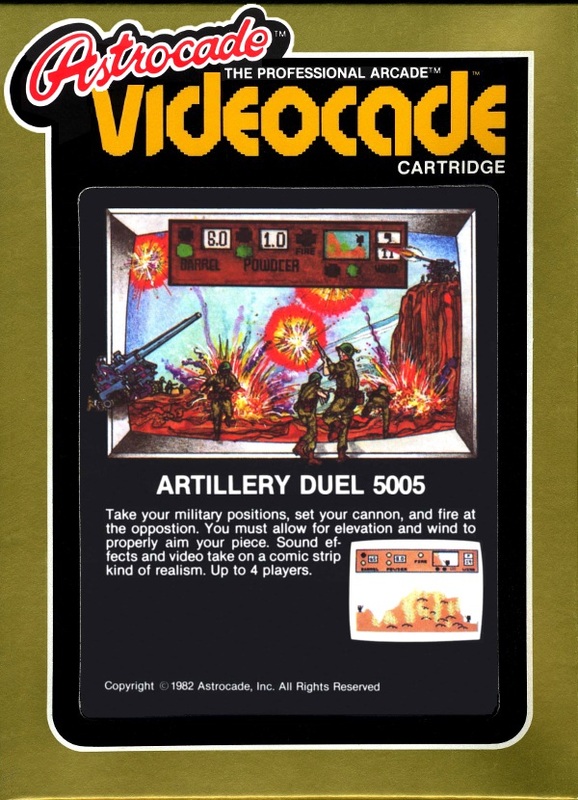 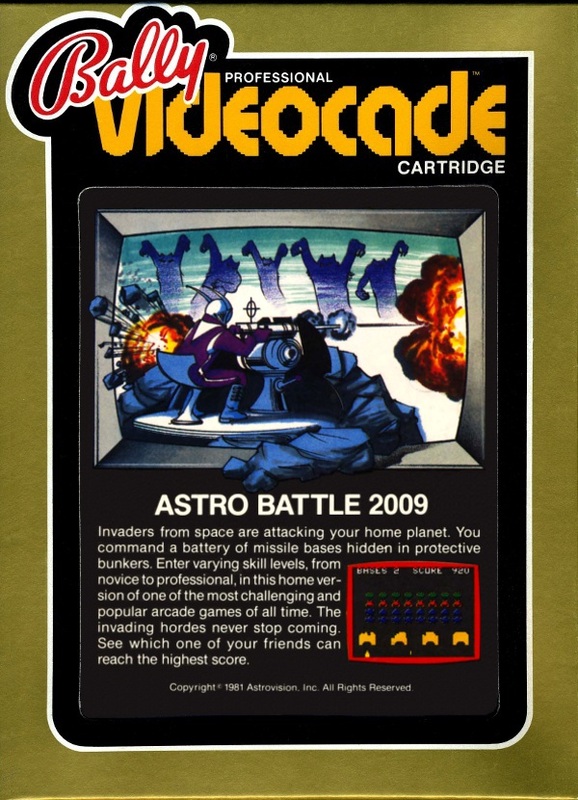 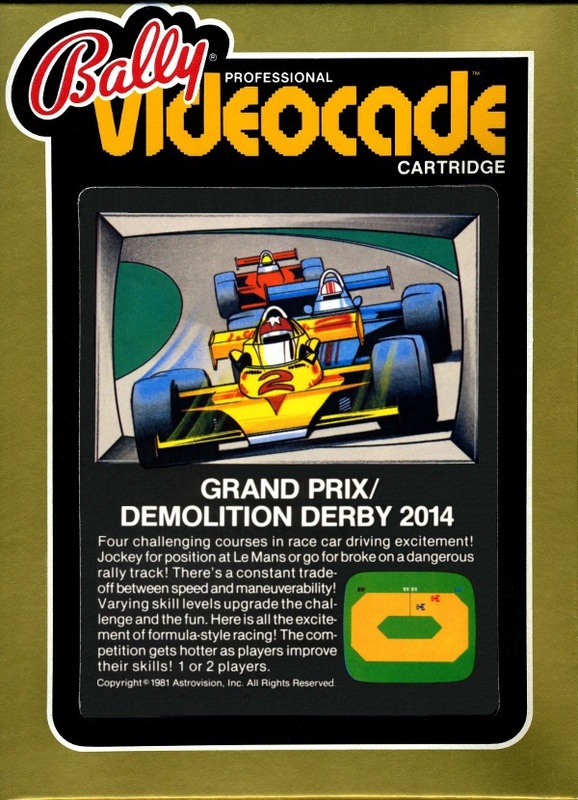 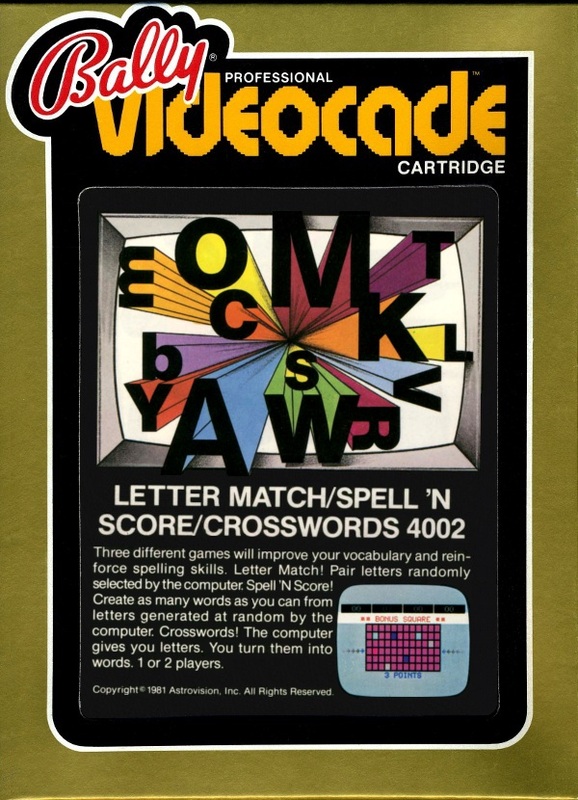 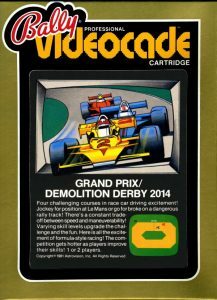 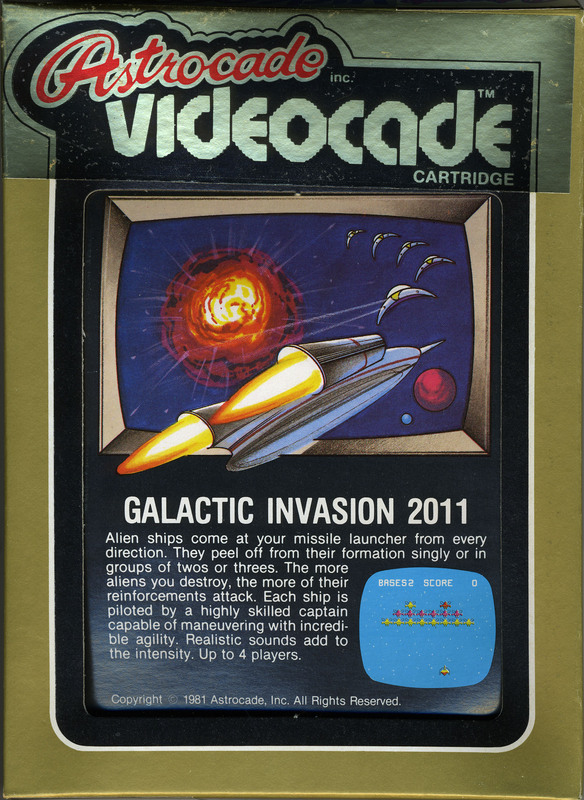 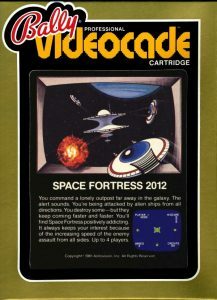 The remaining stock of existing Bally-type box were slapped with a Astrocade sticker. 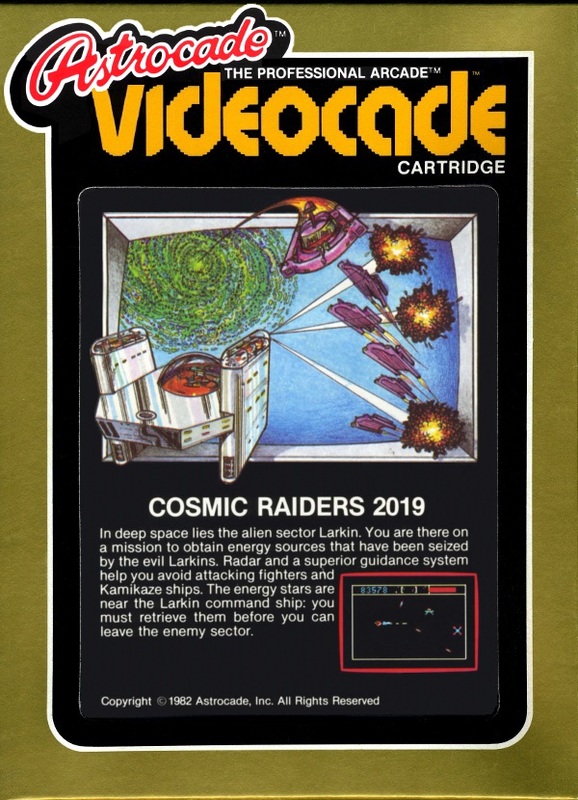 The following have been confirmed to have been released in blister pack format. 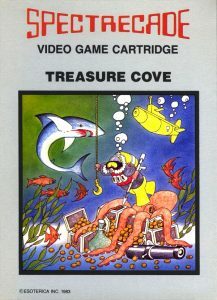 It’s to be noted that some have been released with two different covers. 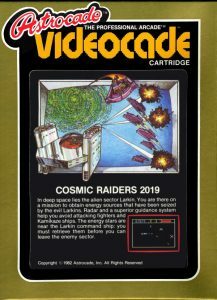 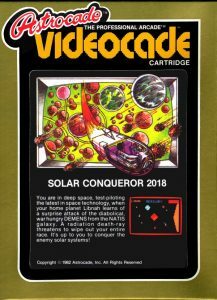 Most site will report only a few third-party games for the Bally Astrocade, but in fact, there was a quite a few of them. There’s a huge list of existing cassette listed on Bally Alley.